Group the numbers in 4 sets. Each sum of the numbers in the group must end in "0"
100 Doors : Aliens Space [Level 80] Answer, Cheats, Solution for Android, iPhone, iPad, iPod. Now corelate the red dots with the numbers on the floor. 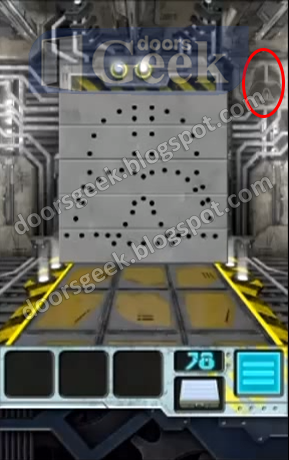 100 Doors : Aliens Space [Level 79] Answer, Cheats, Solution for Android, iPhone, iPad, iPod. 100 Doors : Aliens Space [Level 78] Answer, Cheats, Solution for Android, iPhone, iPad, iPod. 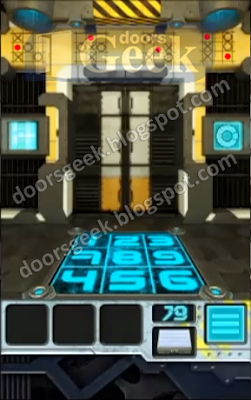 Sort the shapes above the door, so that they match the numbers on the floor. 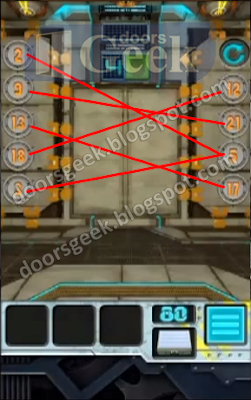 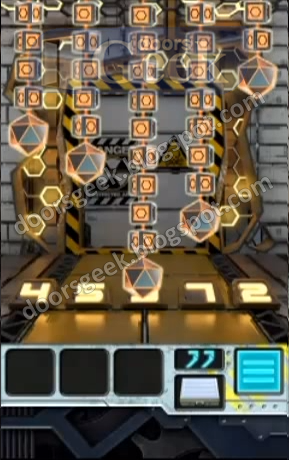 100 Doors : Aliens Space [Level 77] Answer, Cheats, Solution for Android, iPhone, iPad, iPod.